It’s always nice to catch out an icon like Google and yesterday I did. It was, of course, the 20th day of March, which means that it is around Equinox (spring equinox in the northern hemisphere, autumn equinox in the southern hemisphere). 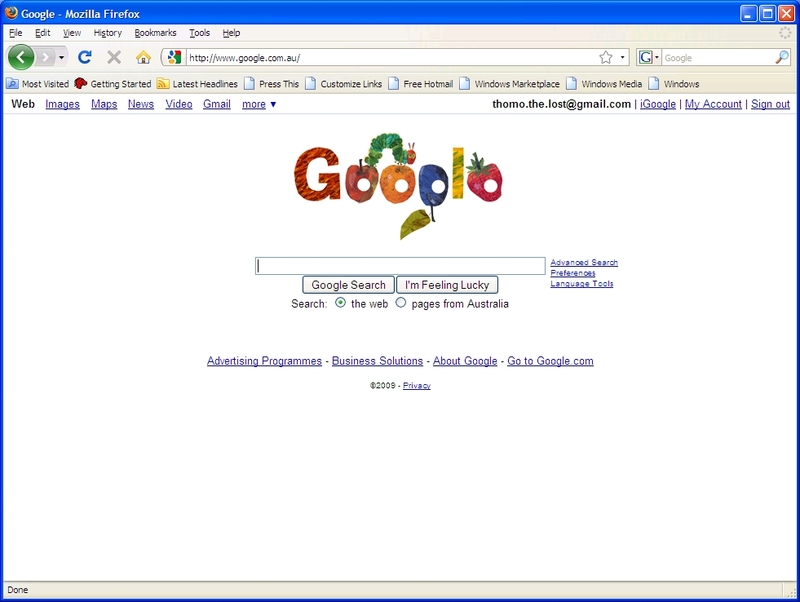 Google’s Australian home page appeared as the image to the left. It was very pretty and the mouse rollover hint on the picture indicated that it was the “First Day of Autumn – Design by Eric Carle”. The only problem with this is that in Australia, the first day of Autumn traditionally is taken to be the 1st of March. For the record, winter in Australia starts on 1 June each year, spring on 1 September and summer, logically, on 1 December. Previous Article “Do it” or do “it”?